Hendrick Jansz ter Brugghen (or Terbrugghen) (1588 – 1 November 1629) was a Dutch painter of genre scenes and religious subjects. 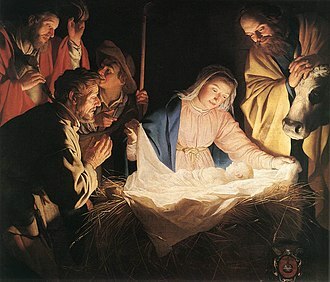 He was a leading member of the Dutch followers of Caravaggio – the so-called Utrecht Caravaggisti. Along with Gerrit van Hondhorst and Dirck van Baburen, Ter Brugghen was one of the most important Dutch painters to have been influenced by Caravaggio. 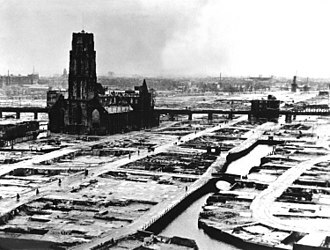 No references to Ter Brugghen written during his life have been identified. His father Jan Egbertsz ter Brugghen, originally from Overijssel, had moved to Utrecht, where he was appointed secretary to the Court of Utrecht by the Prince of Orange, William the Silent. He had been married to Sophia Dircx. 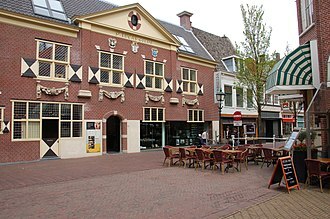 In 1588 he became bailiff to the Provincial Council of Holland in The Hague, where Hendrick was born. 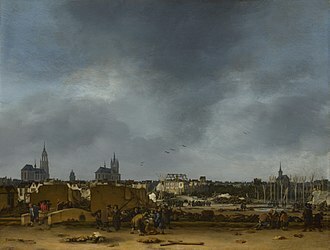 The earliest brief reference to the painter is in Het Gulden Cabinet (1661) of Cornelis de Bie, where he is mistakenly referred to as Verbrugghen. 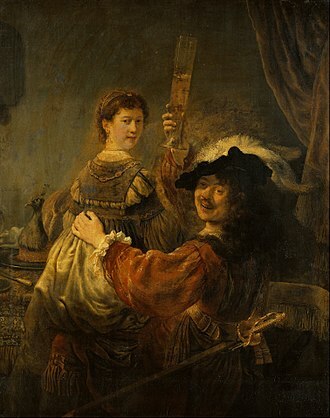 Another short account is found in the Teutsche Academie (1675) by Joachim von Sandrart, where he is referred to as Verbrug. Here we learn that he studied with Abraham Bloemaert, a Mannerist painter. Sandrart also refers to the painter's "tiefsinnige, jedoch, schwermütige Gedanken in seinen Werken" [profound, but melancholic thoughts in his works]. 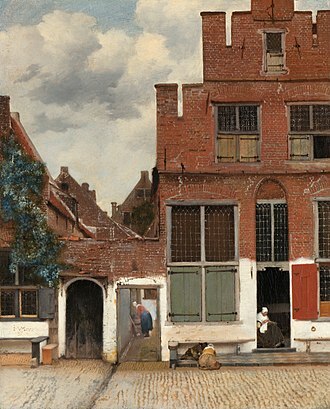 From this unsure footing, the artist's son Richard ter Brugghen sought to rehabilitate his father's reputation as a painter in the early 18th century. He secured a letter, dated 15 April 1707, from Adriaen van der Werff in Rotterdam, attesting to his appreciation of Hendrick's work. Later that year, on 5 August 1707, Richard presented the government council of Deventer with four paintings of the Evangelists, to be hung in the Town Hall as a permanent memorial to his father. Born in Overijsel in 1588, travelled from Utrecht to Rome, and ten years later returned to Utrecht, married there, lived there interruptedly, and died at the age of 42 on 1st Nov. 1629; he was a great and famous history painter from life, painting life-size figures in the Italian manner, so very superior to all others that the famous P. P. Rubens on travelling through the Netherlands declared on coming to Utrecht that he had found only one painter, namely Henricus ter Brugghen. G. Hoet del. 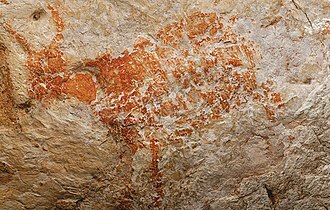 P. Bodart, fec. Cornelis de Bie, in his Spiegel vande Verdrayde Werelt (1708), and Arnold Houbraken, in his De Groote Schouburgh (1718-1721), produced biographies where they repeated Richard's claims that the painter met Rubens in Rome and also worked in Naples. 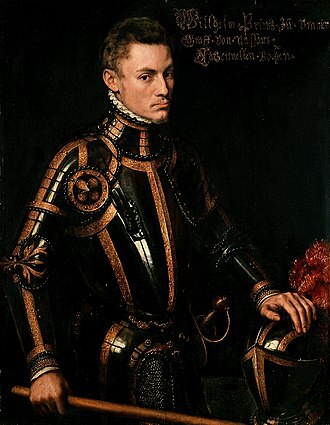 There was a cadet of the same name serving in the army of Ernst Casimir of Nassau-Dietz in the spring of 1607, and for this reason, Ter Brugghen is thought to have been in Italy, but only in that year, rather than as previously believed in 1604 (inferred as it was from the inscription on the Bodart print). 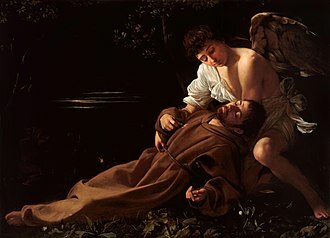 This would certainly mean that he never met Caravaggio in Rome; that artist had fled Rome on a murder charge in 1606. 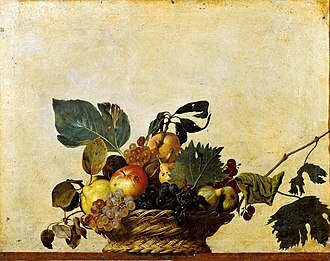 However, it is certain that he was the only Dutch painter in Rome during Caravaggio's lifetime. 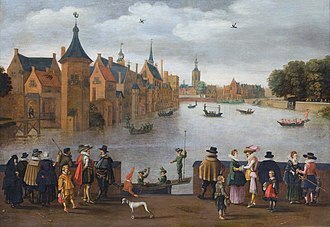 By 1614, Ter Brugghen was in Milan, on his way home. 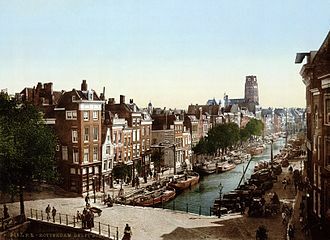 On 1 April 1615, Thyman van Galen and Ter Brugghen are witnesses before the court in Utrecht. 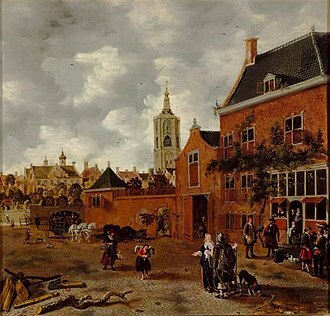 He is already listed as a member of the Utrecht painter's guild in 1616, and on 15 October of that year he married Jacomijna Verbeeck, his elder brother Jan's stepdaughter. 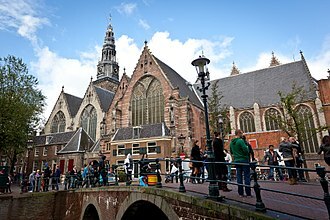 Ter Brugghen died in Utrecht on 1 November 1629, possibly a victim of the plague. 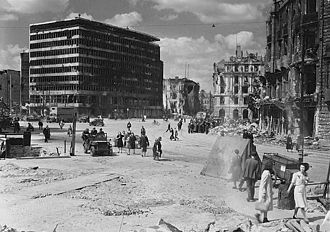 The family had been living in the Snippenvlucht. 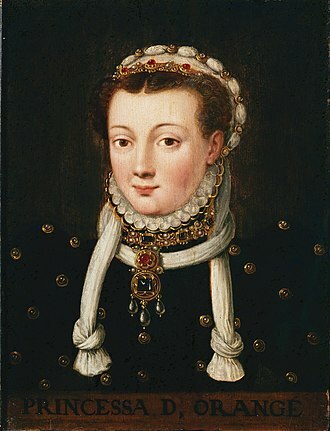 Ter Brugghen's last child of eight, Hennickgen, was born four months later on 14 March 1630. 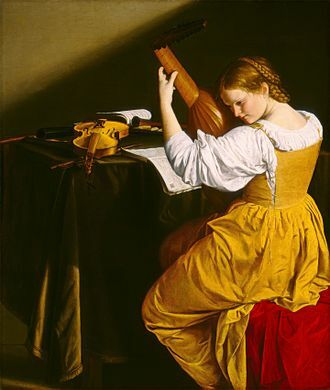 He certainly studied Caravaggio's work, as well as that of his followers–the Italian Caravaggisti–such as Orazio Gentileschi. 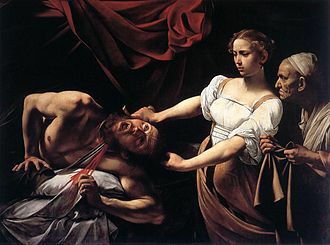 Caravaggio's work had caused quite a sensation in Italy. His paintings were characteristic for their bold tenebroso technique–the contrast produced by clear, bright surfaces alongside sombre, dark sections–but also for the social realism of the subjects, sometimes charming, sometimes shocking or downright vulgar. Other Italian painters who had an influence on Ter Brugghen during his stay in Italy were Annibale Carracci, Domenichino and Guido Reni. 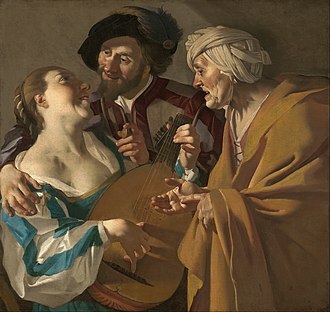 Upon returning to Utrecht, he worked with Gerard van Honthorst, another of the Dutch Caravaggisti. 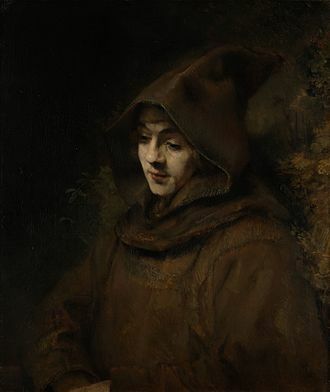 Ter Brugghen's favourite subjects were half-length figures of drinkers or musicians, but he also produced larger-scale religious images and group portraits. He carried with him Caravaggio's influence, and his paintings have a strong dramatic use of light and shadow, as well as emotionally charged subjects. Even though he died young, his work was well received and had great influence on others. 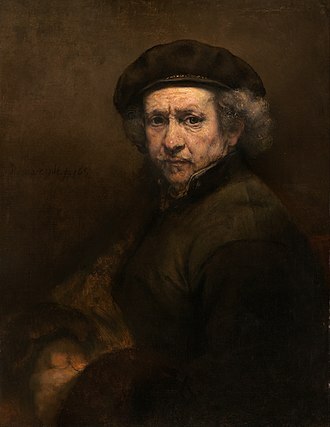 His treatment of religious subjects can be seen reflected in the work of Rembrandt, and elements of his style can also be found in the paintings of Frans Hals and Johannes Vermeer. 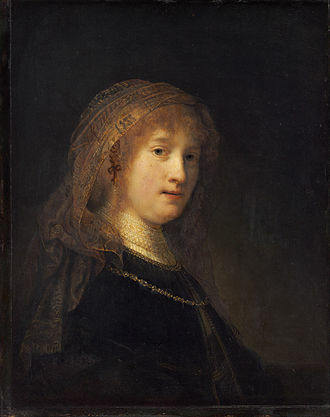 Peter Paul Rubens described ter Brugghen's work as "...above that of all the other Utrecht artists". ^ a b c d Liedtke, Walter (2007). Dutch Paintings in the Metropolitan Museum of Art, Volumes 1-2. New York: Metropolitan Museum of Art. ISBN 9781588392732. ^ a b c d e Nicolson, Benedict (1958). Hendrick Terbrugghen. The Hague: Martinus Nijhoff. ^ de Bie, Cornelis (1661). 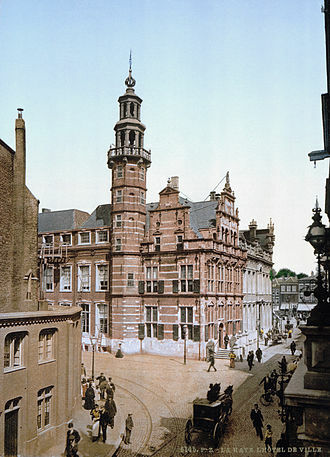 Het gulden Cabinet vande edel vry schilder const, inhoudende den lof vande vermarste schilders, architecte, beldthowers ende plaetsnyders van dese eeuw. Belgium: Jan Meyssens. p. 132. ^ Von Sandrart, Joachim (1675). Teutsche Academie der Edlen Bau, Bild- und Mahlerey-Künste. pp. 303, 308. ^ De Bie, Cornelis (1708). Den spiegel vande verdrayde werelt: te sien in den bedriegelijcken handel, sotte, en ongeregelde manieren van het al te broos menschen leven. Joannes Paulus Robyns. ^ Houbraken, Arnold (1718–1721). De groote schouburgh der Nederlantsche konstschilders en schilderessen. Arnold Houbraken. pp. 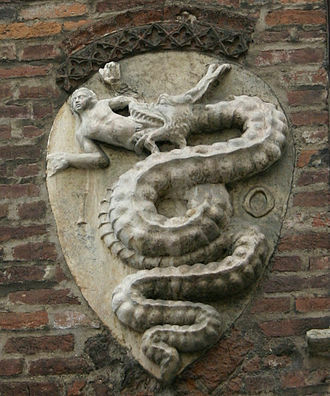 134–136. ^ Slatkes, Leonard; Wayne Franits (2007). The Paintings of Hendrick ter Brugghen (1588-1629): Catalogue Raisonné. 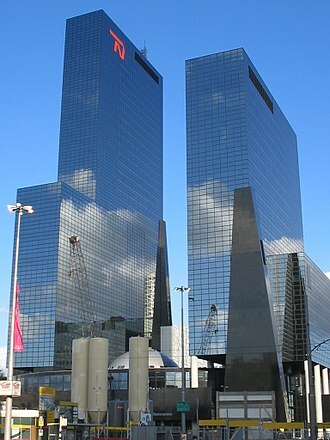 Amsterdam: John Benjamins Publishing Company. ISBN 9789027249616. 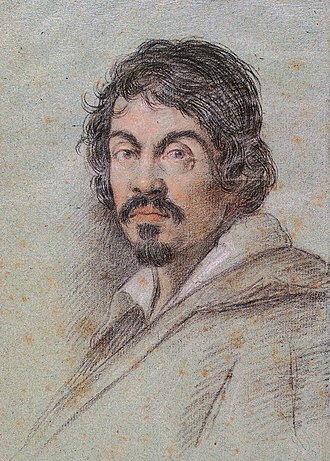 Michelangelo Merisi da Caravaggio was an Italian painter active in Rome, Naples and Sicily between 1592 and 1610. His paintings, which combine a realistic observation of the human state, in scarcely a year or so’s sojourn in Naples, he rapidly established himself once more as the most prominent painter, exploiting high-ranking connections. It was not long before these connections gave him an opening to travel on in 1607 to Malta, governed by the Order of Knights Hospitallers, Caravaggio probably hoped that the Knights would provide a channel whereby he could obtain a pardon from the Papacy. Once more his talents made an instant impression, along with the support of noble patrons and his hopes dashed, he contrived to escape and flee once, which before the end of 1608 led to his cancellation from the rolls of the Order. He made for Syracuse in Sicily, where he was received as a guest by a friend from his Roman days, the painter’s face was disfigured and rumours started to circulate of his death. Various commentators have formulated opinions about his state from works supposedly executed at this period. In fact, Caravaggio’s end is shrouded in mystery, mystery that is rendered only denser by conflicting hypotheses, some speak of a natural death from a persistent fever, others of an assassination by emissaries of the Knights of Malta. 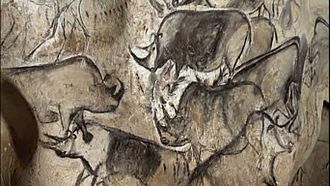 The loss of the paintings put the deal and his future in doubt, there is evidence that dogged by a serious fever, he was tended by a local religious confraternity near Porto Ercole, in the Grand Duchy of Tuscany, but succumbed. His death was certified by them as taking place on 18 July 1610, if the story to this point is exact, it is likely he was buried in a paupers’ common grave. As to the place, though this continues to be contested. Famous while he lived, Caravaggio was forgotten almost immediately after his death, despite this, his influence on the new Baroque style that eventually emerged from the ruins of Mannerism was profound. The 20th-century art historian André Berne-Joffroy claimed, What begins in the work of Caravaggio is, quite simply, modern painting. Joachim von Sandrart was a German Baroque art-historian and painter, active in Amsterdam during the Dutch Golden Age. 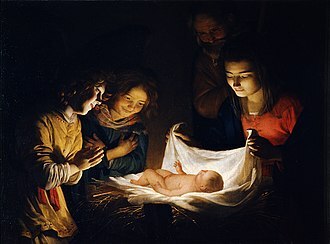 Sandrart was born in Frankfurt am Main, but the family originated from Mons, Honthorst took Sandrart along with him when he travelled to London. 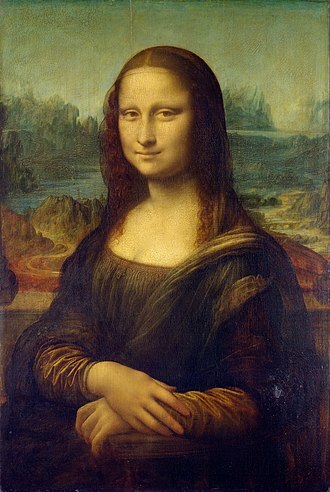 There he worked with Honthorst and spent time making copies of Holbein portraits for the gallery of Henry Howard. He set out for Bologna, where he was met by his cousin on his fathers side Michael le Blond, with him, he crossed the mountains to Florence, and from there on to Rome, where they met Pieter van Laer. Sandrart became famous as a portrait-painter, after a few years he undertook a tour of Italy, traveling to Naples, where he drew studies of Mount Vesuvius, believed to be the entrance to the Elysian fields described by Virgil. 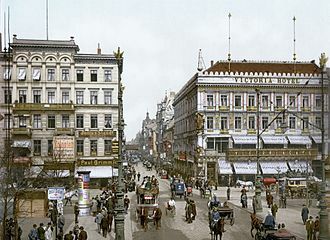 From there he traveled to Malta and beyond, searching for literary sights to see and paint, only when he was done traveling did he finally return to Frankfurt, where he married Johanna de Milkau. 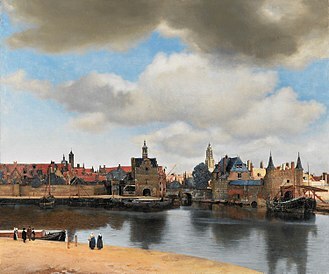 Afraid of political unrest and plague, he moved to Amsterdam with his wife in 1637, in Amsterdam he worked as a painter of genre works, and portraits. He won a good following as a painter, winning a lucrative commission for a large commemorative piece for the state visit by Maria of Medici in 1638. This piece was commissioned by the Bicker Company of the Amsterdam schutterij, the state visit was a big deal for Amsterdam, as it meant the first formal recognition of the Dutch Republic of the seven provinces by France. However, Maria herself was fleeing Richelieu at the time and never returned to France and he received 3000 guilders for 2 books of his Italian drawings, that according to Houbraken were resold in his lifetime for 4555 guilders. Though he rebuilt the old homestead, it was burned by the French and he sold it and moved to Augsburg, where he painted for the family of the Elector of Bavaria. When his wife died in 1672, Sandrart moved to Nuremberg, where he married Hester Barbara Bloemaart and this is where he started writing. His large 1649 painting Peace-Banquet commemorating the Peace of Münster, now hangs in Nurembergs town hall and this work is an educational compilation of short biographies of artists, that was inspired by Karel van Manders similar Schilder-boeck. Crucifixion with the Virgin and St John by Hendrick ter Brugghen is an oil painting, now in the Metropolitan Museum of Art in New York City. It was probably painted in about 1625 as an altarpiece for a Catholic schuilkerk and it was acquired by the museum in the sale. Although the date is partly illegible, stylistically it comes closest to Ter Brugghens Saint Sebastian Tended by Irene at the Allen Memorial Art Museum in Oberlin, which is dated 1625. 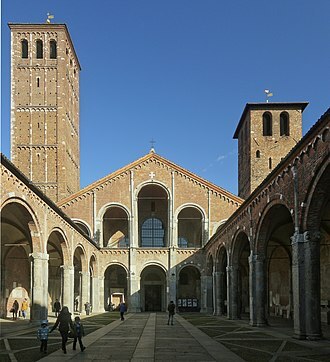 It was probably commissioned for a chapel or private church, although some contention has existed over whether this would have been Catholic or Protestant. The posthumous inventory of Johannes de Renialme, for a sale of June 27,1657, lists as no.137 Een Christus aen t cruys, van Van der Brugge, there valued at 150 guilders, the church sold the painting to Nigel Foxell of Oxford for £75. Foxell consigned the painting to auction at Sothebys on 28 November 1956, Foxell donated the proceeds to the Diocese of London. Ter Brugghens scene is taken from the Gospel of John, When Jesus therefore saw his mother, and the disciple standing by, saith he to the disciple, Behold thy mother.